Fakenham horse racing tips for the races today. Check out the most popular Fakenham tips below or see what the most popular tipsters are predicting will win at Fakenham today. Fakenham is located in the north of Norfolk approximately halfway between King’s Lynn and Cromer, it is the only track in the area. Type of Racing: National Hunt Only. Highlights: The Norfolk National ranks highly on their list of events but the star attraction is the Fakenham Silver Cup, a valuable Class 3 handicap hurdle over 2 miles that is part of their Spring Festival held at the beginning of March. Bookmaker Streaming Services Available from: Bet 365, Betfair, Coral, Hills, Unibet. Left handed, very sharp and only a mile in circumference. 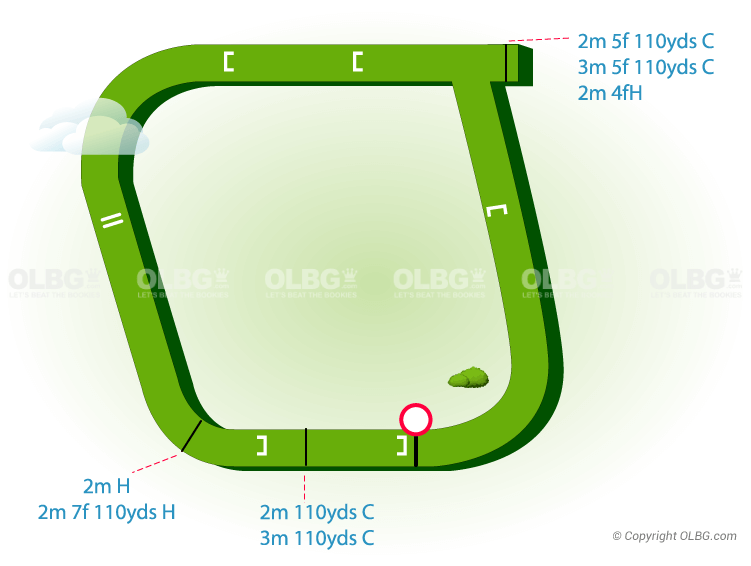 It is undulating on the back straight and both the hurdles and chase courses have short uphill run-ins. It is one of the tightest tracks in the country. Guide to course: Often pays to follow horses that are up with the pace although being too keen can pay the penalty towards the finish. The tight track suits nimble horses rather than long striding counterparts. Fences are not too severe but due to several races being run at a decent pace, errors tend to cause more casualties than would normally be the case. In the winter months the ground can often be heavier than the official description. Field sizes tend to be on the small size at Fakenham with many races having 6 runners or less, concentrate on the head of the market but not necessarily the fav when adding a Fakenham tip. Visit the OLBG tips pages to view the tips and comments by the top horse racing tipsters. Check the OLBG tips pages for detailed comments on individual horses. Read the daily horse racing discussion on the forum. Check going and weather updates from the clerk of the course. So, we know that the track suits nippy horses who do not worry about being crowded. Huntingdon, Market Rasen, Southwell are the nearest Jumps racecourses to Fakenham and you often see horses going from one to the other, with the level of racing of a similar nature. Be aware of the amount of smaller trainers based on the east side of the country who have horses that may be average, and not suitable for bigger tracks, but who can run well and win at the less competitive Fakenham. Check the unmissable guide to the best bookies for horse racing. If you are going racing to Fakenham today then be sure to download the OLBG app to keep up to date with all the Fakenham tips at the course. Who are the best jockeys and trainers to bet on at Fakenham ? Local trainer Lucy Wadham and still fairly new to the training ranks Olly Murphy head the numerical winners list with a nice strike rate and level stakes profit since 2014. David Pipe (8 winners from 16 runners) and Henry Daly (6 winners from 11 runners) are two trainers worth noting when they send horses on the long journey east from Devon and Shropshire respectively to Fakenham.